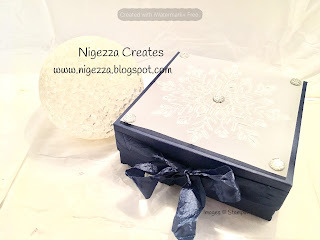 I love Night of Navy, its such a rich stunning colour, and when combined with silver its simply gorgeous. The box is decorated with a 4x4 inch piece of thick Vellum which is embossed with the large snowflake embossing folder - Winter Wonder Textured Impressions. 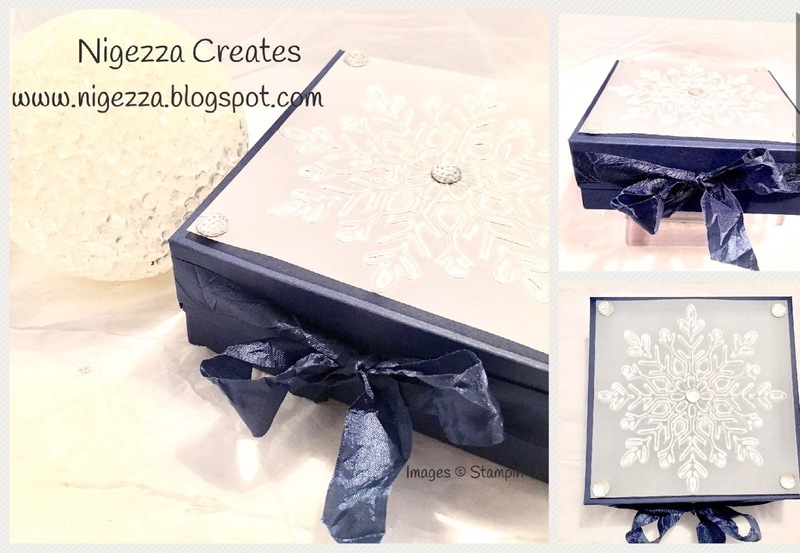 The snow flake is attached using the Mini Dimensional's and the second smallest Clear Faceted Gems cover these up nicely and make the box that bit extra special. To finish off I used the Seam Binding ribbon in Night of Navy. I think you will agree that this is a very stunning box.